Malvern, Pa., USA - June 08, 2017 - At the 2017 annual meeting of the Society of Nuclear Medicine & Molecular Imaging (SNMMI), June 10-14 at Denver's Colorado Convention Center, Siemens Healthineers debuts Symbia Intevo Bold, a system that combines the company's proven single-photon emission computed tomography (SPECT) technologies with new, high-performance CT capabilities to enable a wide range of clinical applications. These new CT options help make even challenging exams a matter of clinical routine. 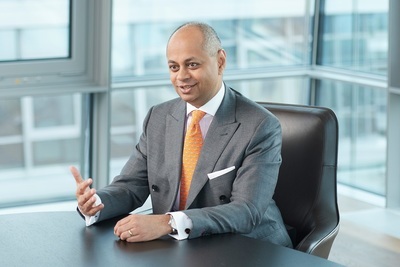 Michael Sen, Member of the Managing Board of Siemens AG. Michael Sen is responsible within Siemens' Managing Board for the company's healthcare business and its global services unit. At the 2017 annual meeting of the Society of Nuclear Medicine & Molecular Imaging (SNMMI), June 10-14 at Denver's Colorado Convention Center, Siemens Healthineers debuts Symbia Intevo Bold, a system that combines the company's proven single-photon emission computed tomography (SPECT) technologies with new, high-performance CT capabilities to enable a wide range of clinical applications. These new CT options help make even challenging exams a matter of clinical routine. 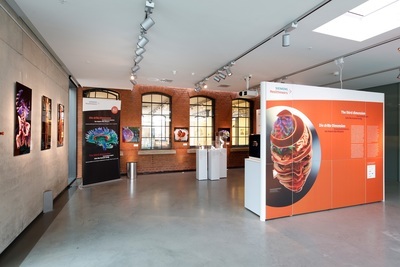 Special exhibition "The Third Dimension"
Unique images and models of human anatomy – in 3D – invite visitors to come along on a spectacular journey through the body. In the 18th century, highly realistic wax models were lovingly crafted by hand to give people their first-ever look at what lay beneath the skin. Nowadays, image data from magnetic resonance imaging (MRI) and computed tomography (CT) is used to produce hyper-realistic images of the body on a computer through Cinematic Rendering technology, opening up new insights into the human body. 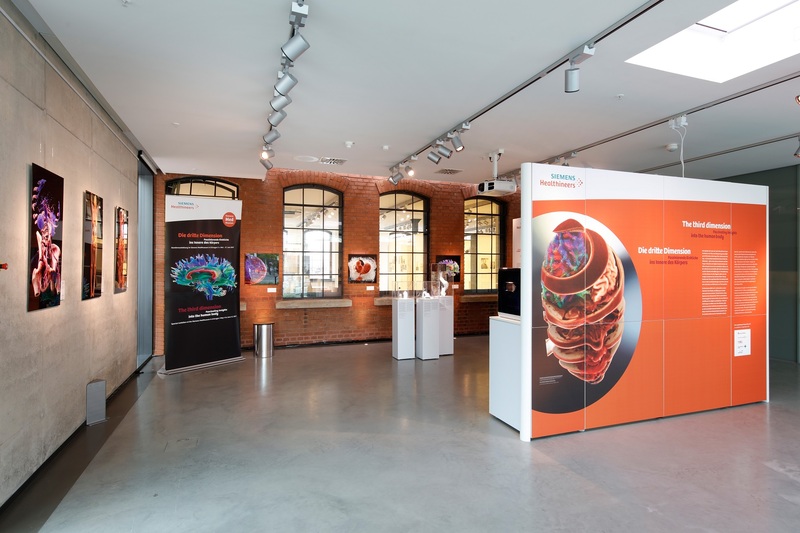 These and other exciting steps in the development of 3D visualization technology from X-ray stereoscopy to 3D printing will be on display in the special exhibition "The Third Dimension" at Siemens MedMuseum in Erlangen, May 4 – June 17, 2017. 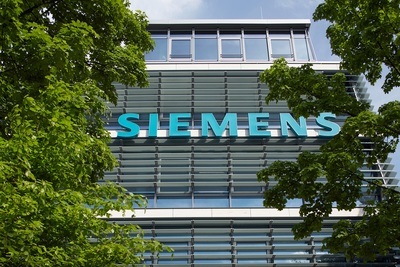 With products such as Symbia Intevo Bold, as well as a new name that underlines the company's pioneering spirit and engineering expertise, Siemens Healthineers – the separately managed healthcare business of Siemens AG – helps healthcare providers worldwide meet current challenges and excel in their respective environments. 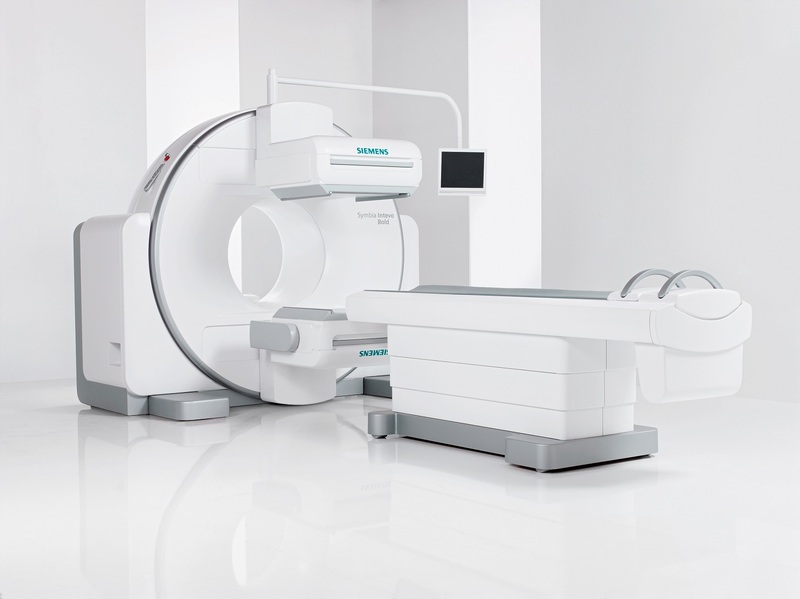 Siemens Healthineers SPECT/CT system allows customers to expand dual-use capabilities in CT. The Symbia Intevo Bold SPECT/CT system from Siemens Healthineers allows customers to expand dual-use capabilities in CT.
New CT options enable lower patient dose, reduced metal artifacts for enhanced detail, and improved image quality via dual-energy scanning. Symbia Intevo Bold addresses the growing trend of health care facilities using SPECT/CT systems in a dual-use setting, mirroring the rise of dual-use positron emission tomography (PET)/CT. More facilities are utilizing SPECT/CT systems as standalone or backup diagnostic CT systems. Additionally, institutions are looking to maximize efficiency for SPECT patients who also require a diagnostic CT scan by acquiring both sets of images on the same system. 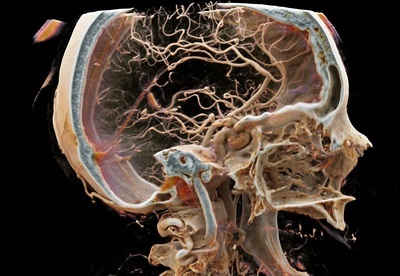 For these reasons, demand is increasing for SPECT/CT systems with optimal CT capabilities. At the surgeons’ request, the user interface on the prototype1 has been kept highly intuitive and easy to follow. Some of the main elements of the prototype are the surgery-specific tools, such as the sliding, selective sectional plane, which makes it possible to remove tissue virtually, showing the vessels in front of the sectional plane in order to more easily determine their position relative to the tumor. 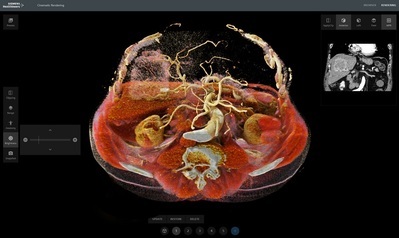 In addition to the large Cinematic Rendering image, the original CT or MRI sectional image is also displayed in a smaller format, to ensure the user always has access to the familiar sectional image view. Copyright: Erlangen University Hospital, Department of Surgery, Germany. Addressing that demand, the new Symbia Intevo Bold offers a host of optional applications that bolster the CT imaging capabilities of SPECT/CT. "Symbia Intevo Bold advances the dual-use capabilities of SPECT/CT, enabling exceptional image quality in both forms of imaging at the lowest possible patient dose," said Jim Williams, head of Siemens Healthineers Molecular Imaging. A virtual journey through the human body. Side view of the vascular structures inside the skull. Cinematic rendering based on image data from a scan using an angiography system and Syngo DynaCT software. Copyright: University Medical Center Göttingen, Germany. Available on a Siemens Healthineers SPECT/CT system for the first time, the SAFIRE (Sinogram Affirmed Iterative Reconstruction) algorithm delivers excellent CT image quality while reducing patient radiation dose by as much as 60 percent. SAFIRE enables fast image reconstruction for easy implementation into a facility's clinical routine. Additionally, SAFIRE reduces noise while maintaining detail visualization. 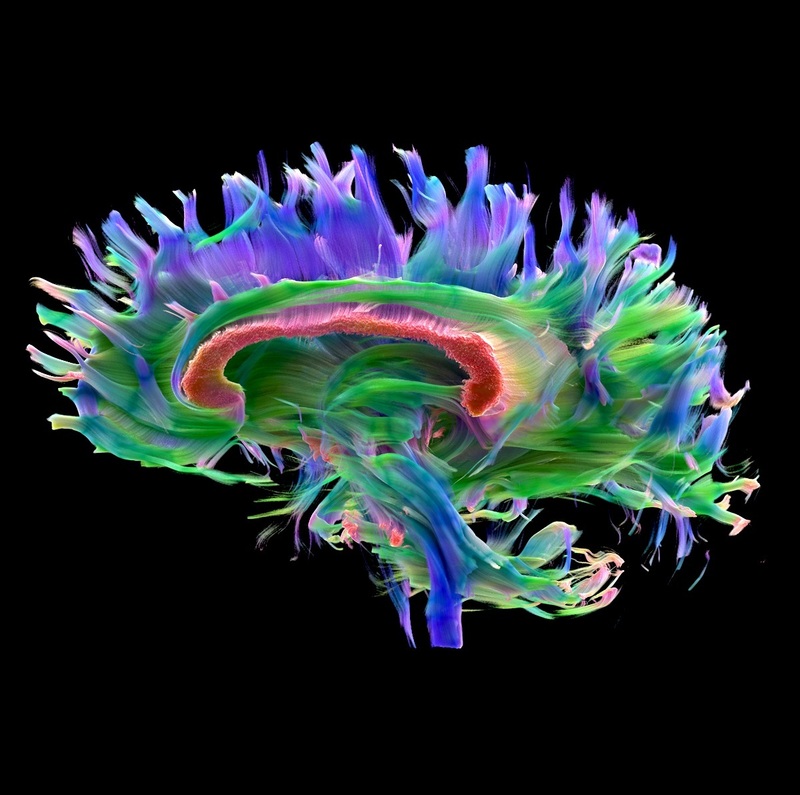 Fiber bundles of the brain – Cinematic Rendering based on data gleaned from magnetic resonance imaging. 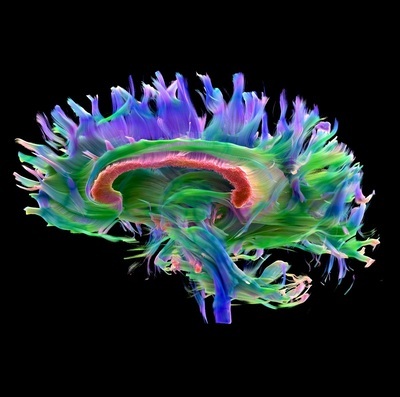 Copyright: Cardiff University Brain Research Imaging Center, Great Britain. Also available for the first time on any of the company's SPECT/CT systems, the iMAR (Iterative Metal Artifact Reduction) algorithm reduces metal-related artifacts caused by metallic materials, such orthopedic and dental implants. With this capability, customers can not only curb or eliminate artifact-induced distortion in CT images but also apply the CT images for attenuation correction to provide a more enhanced, accurate SPECT image. Of importance to the surgeons was the realistic photo-quality presentation using Cinematic Rendering, which shows bones as white and tissue as red, for example. Some of the main elements of the prototype are the surgery-specific tools, such as the sliding, selective sectional plane, which makes it possible to remove tissue virtually, showing the vessels in front of the sectional plane in order to more easily determine their position relative to the tumor (image on the right). Organs can also be shown transparently, to enable the shape and position of a liver tumor, for example, to be shown clearly along with the vessels supplying it, while the liver itself appears essentially transparent (center image). Finally, the single-source dual energy capability of Symbia Intevo Bold employs two sequential spiral CT scans operating at different kV levels to combine tissue information with disease morphology, improving image quality. Post-processing applications with the company's syngo Dual Energy software include monoenergetic, Calculi Characterization, and gout. In addition to these CT-optimizing features, the Symbia Intevo Bold SPECT/CT system offers established cutting-edge capabilities in SPECT imaging. For example, xSPECT Quant quantification technology enables automated, accurate, and reproducible quantification of not only Technetium-99m – the most common isotope in SPECT imaging – but also Iodine-123, Lutetium-177, and Indium-111. This capability extends the use of advanced SPECT quantification from general nuclear medicine and bone studies to indications including neurological disorders, neuroendocrine tumors, and prostate cancer. 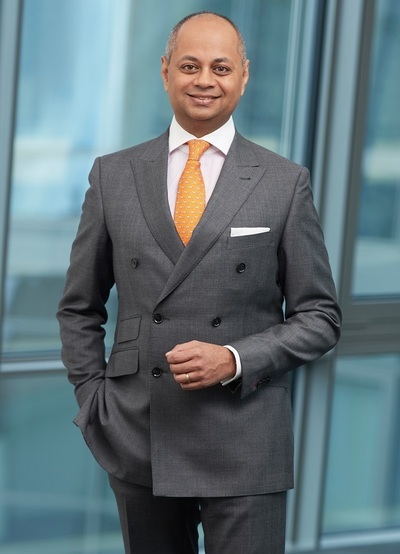 Siemens Healthineers is the separately managed healthcare business of Siemens AG enabling healthcare providers worldwide to meet their current challenges and to excel in their respective environments. Siemens Healthineers is also actively developing its digital health services and enterprise services. To help customers succeed in today's dynamic healthcare marketplace, Siemens Healthineers is championing new business models that maximize opportunity and minimize risk for healthcare providers. 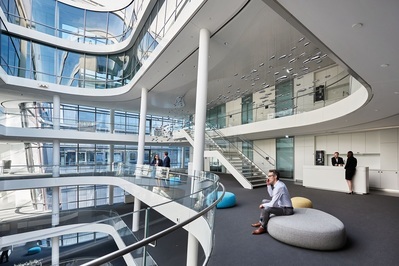 Siemens corporate headquarters, Munich, Germany. In fiscal 2016, which ended on September 30, 2016, Siemens Healthineers generated revenue of EUR13.5 billion and profit of over EUR2.3 billion and has about 46,000 employees worldwide. People of various nationalities with a wide range of languages, cultures and ways of thinking work together at Siemens. The new corporate headquarters in Munich also focuses on collaboration. Bright and flexible open-plan office landscapes stimulate creativity and foster networking and the exchange of ideas. 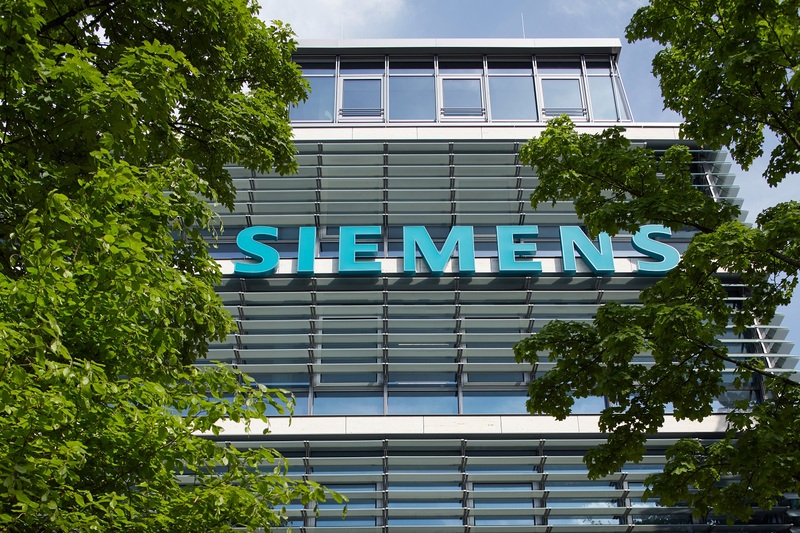 In fiscal 2016, which ended on September 30, 2016, Siemens generated revenue of EUR79.6 billion and net income of EUR5.6 billion. At the end of September 2016, the company had around 351,000 employees worldwide. 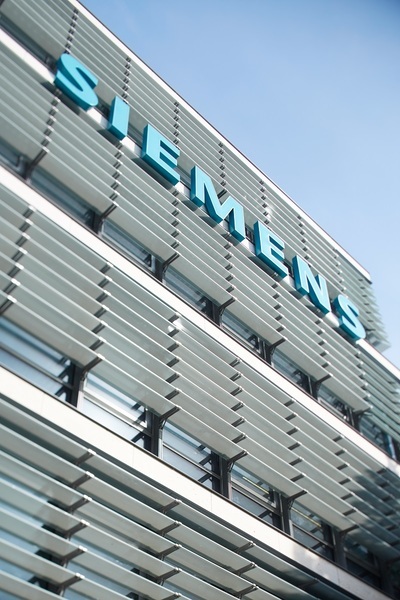 Siemens sets new performance and efficiency world records at Düsseldorf power plant "Fortuna"